Hair loss and unwanted facial hair are both problems that can leave you feeling self-conscious and suffer a loss of confidence. Yet these common problems should not be a cause for embarrassment. At Express Pharmacy we offer a number of treatments that can help you deal with hair-raising problems and find a light at the end of the tunnel. Both hair loss and unwanted facial hair are medical conditions that often leave sufferers feeling upset and embarrassed. But you should know that you aren’t alone. In fact, both afflictions are extremely common and by trying to ignore the issue you are actually missing out on the opportunity to take the problem in hand. 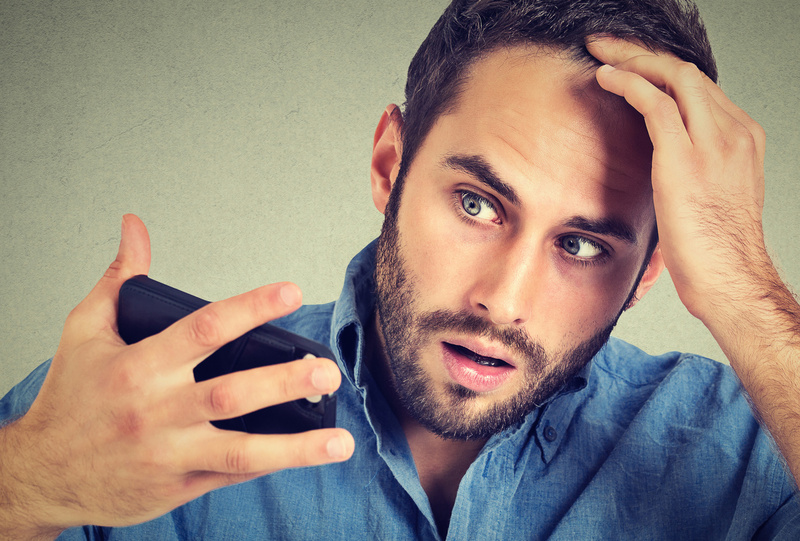 Hair loss is particularly prevalent in men – with 40% of males experiencing noticeable hair loss by the time they are 35 years old. 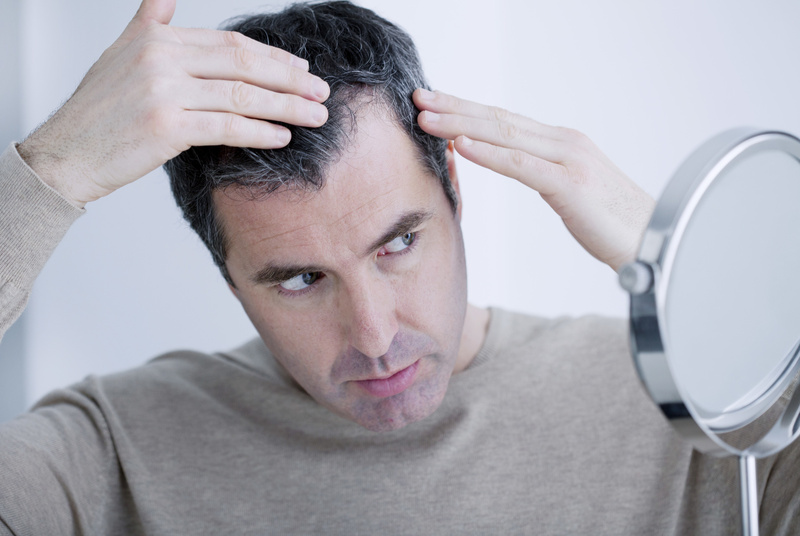 As men progress into their 40s, 50s and 60s this hair loss often becomes what many would consider to be “baldness”. While stress, a poor diet, poor hair care, illness or medical treatments can all contribute to hair loss, genetics is by far the most significant factor. Male pattern baldness refers to the loss of hair in men, usually starting at the crown or the temples – and often includes a general thinning of the hair all over the scalp. It tends to take 15-25 years for male pattern baldness to take full effect, though in some cases hair loss spreads within just 5 years. 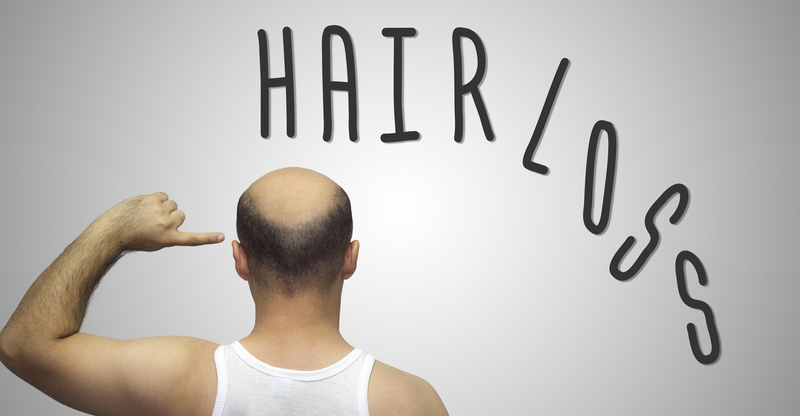 Hair loss in men is the result of your body becoming increasingly sensitive to male hormones called androgens. The extent to which this affects you is hereditary, and other factors such as stress can speed up the process in some cases. All women have body hair and experience regular growth from puberty onwards. 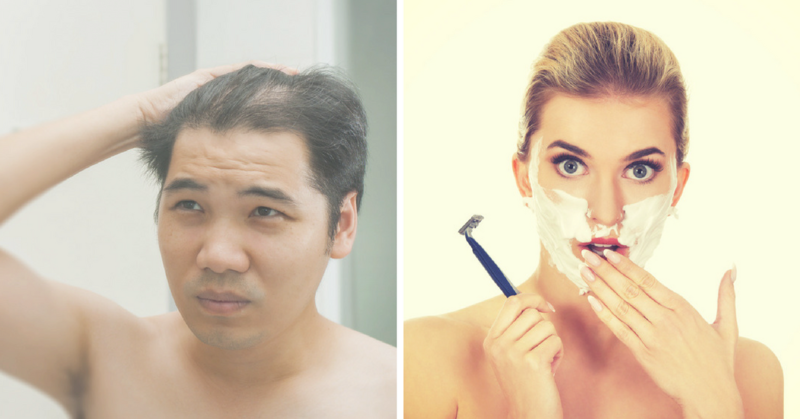 However, some women also find themselves growing excess hair in areas more typically found on men such as the face and lower abdomen. This condition is known as hirsutism and is thought to affect between 5-10% of all women. These conditions can wreak havoc on our self-confidence, and many people feel too embarrassed to speak to a GP about their symptoms. Instead, many women simply learn to live with unwanted hair or attempt to tackle the problem by shaving – a solution which can cause the problem to worsen in the long-term. Like male pattern baldness, hirsutism, tends to run in families among women as a result of a genetic predisposition to the condition. Hirsutism is characterised by high levels of androgens, including testosterone, which can result in male-pattern hair growth. There are several medical conditions that can result in unwanted facial hair. Perhaps the most well-known is Polycystic Ovarian Syndrome (POS), which accounts for three out of four cases of hirsutism. This is when benign cysts on the ovaries lead to decreased fertility and irregular menstrual cycles. Unwanted facial hair can also be the result of adrenal gland disorders, or certain medications such as minoxidil, testosterone and cyclosporine. How can you treat these issues? For hair loss in men, Express Pharmacy offers Propecia. This helps treat male baldness and hair loss in the vertex and anterior mid-scalp area. Propecia helps with symptoms such as receding hairline, balding at the crown or general thinning of the hair. Express Pharmacy also offers Finasteride, which is the generic version of Propecia. Finasteride contains the same active ingredient as its branded counterpart and acts on the scalp in precisely the same way. For unwanted facial hair in women, Express Pharmacy offers Vaniqa. This is designed forapplication directly onto the face, and results can be seen within 4-8 weeks when applied twice a day, 8 hours apart. Vaniqa helps slow the growth of facial hair by taking effect during the growth stage of the hair cycle and interfering with an enzyme in the follicle necessary for the hair to grow. Express Pharmacy makes treatment simple and discreet. Our 3 step process ensures you get the treatment you need, quickly and discreetly without a visit to the GP. Order your prescription today and it could be with you tomorrow morning. September is Alopecia Awareness Month. Despite the relatively common nature of the condition, many people are still not familiar with the facts about alopecia. September is therefore an opportune time to explain what alopecia is, who experiences it, how it can be treated and what can be done to support sufferers. Alopecia is the medical term referring to hair loss, of which there are many types. The most common is male-pattern baldness, also known as androgenetic alopecia, which is likely to affect half of all British men by the time they reach their fiftieth birthday. This is a hereditary condition that typically sees men’s hairlines begin to recede by their thirties, with the hair on the top of the head eventually thinning to leave a horseshoe shape of hair on the back and the sides of the head. Alopecia areata (AA) is another type of alopecia, which results in patchy hair loss. This can advance into alopecia totalis (AT), where hair is lost from the scalp entirely, and alopecia universalis (AU), where hair is lost from the entire body. 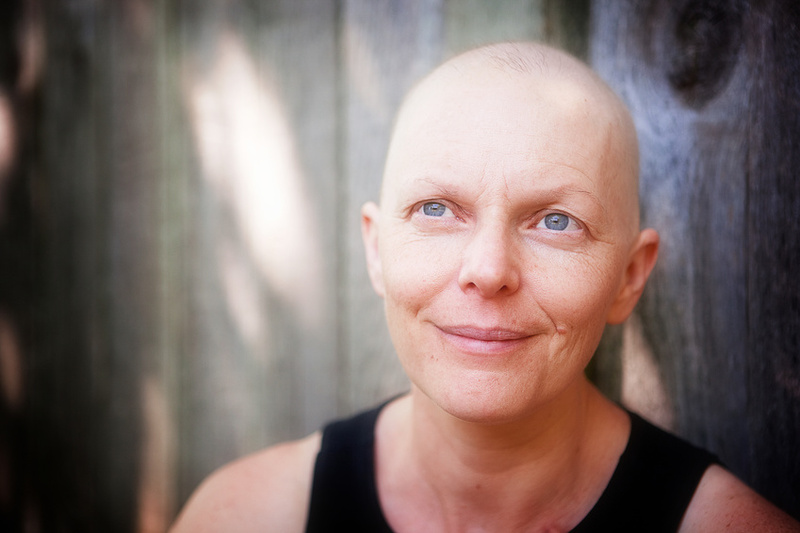 Some types of alopecia can be the result of other medical conditions or treatments. Scarring alopecia, where hair follicles are destroyed and replaced with scar tissue, can be the result of a form of lupus or severe rash. There are also condition known as anagen effluvium, where hair loss is caused by chemicals, and traction alopecia caused by pulling or tension on the hair. Even though alopecia receives most prominence when it affects men, alopecia is actually a condition that is indiscriminate towards gender. Female-pattern baldness reportedly affects almost half of women who are over 65, and some studies suggest this is because hair thinning becomes more apparent after menopause. Anagen effluvium, the type of alopecia caused by certain chemicals, most commonly effects people being treated for cancer with chemotherapy (and sometimes radiotherapy). Therefore, this type of alopecia can affect anyone of any age. Alopecia areata has been known to affect teenagers and young adults in particular, although the causes of this type of hair loss are not clear. One form of alopecia where the causes are more salient is traction alopecia, which is most common in women who regularly choose to style their hair in tight braids. As there are many types of alopecia, treating and living with the condition can vary from type to type. Where the cause of the hair loss is clear, the treatment can be very simple – when a sufferer of anagen effluvium ceases chemotherapy they find that their hair grows back, and braiding the hair more loosely or taking a break from braided extension can ease traction alopecia. At Express Pharmacy, we offer effective treatments for male-pattern baldness such as Propecia and Generic Finasteride. These treatments are not, however, recommended for other forms of alopecia, however. This September, charity Alopecia UK is offering support to those suffering from the condition and encouraging people to raise money to help with research and treatments for alopecia. This year’s activities include Fun Hat Fridays, where people wear a jazzy hat to work or school every Friday in September and share a photo of themselves on social media. Participants can simply text HATS44 £3 to 70070, which will donate £3 to the charity. Some people also choose to cut off and donate their hair – sponsorship money can be donated to Alopecia UK, whilst the hair itself can be sent to the Little Princess Trust, which provides wigs for children who experience alopecia as a result of cancer treatment. Visit www.alopeciaonline.org.uk for more information. Thanks for the informative and helpful article. I hope people around us make this event successful and donate as much as they can. I will definitely share this post for awareness and also generate fund so we all can help those people who are suffering.